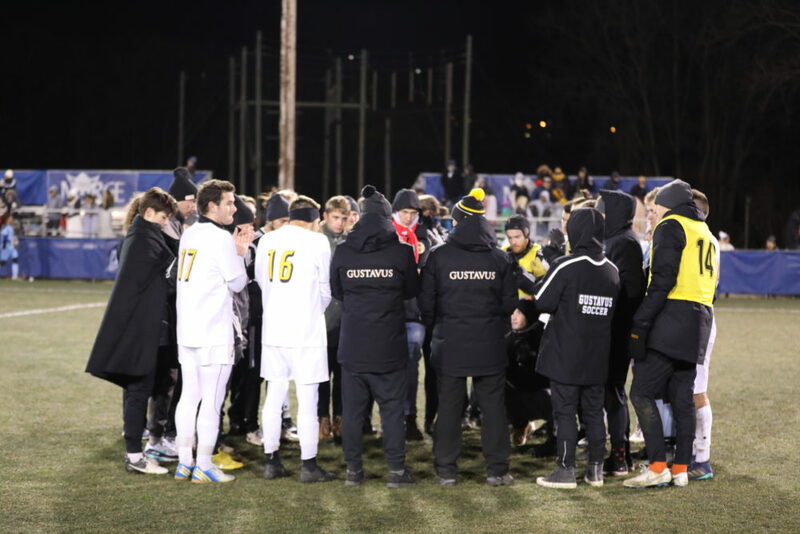 The Gustavus men’s soccer team’s 2018 season came to an end on a frigid night in Decorah, Iowa, as the Gusties fell 2-0 to Dominican University in the opening round of the NCAA Tournament. Taking the field after host Luther College defeated Knox College 1-0 in an overtime contest, the Gusties and Stars battled back and forth in the opening minutes of the game, with the Black and Gold challenging early before a Dominican counterattack was turned away by a big save from goalkeeper Anders Severson (Sr., Woodbury, Minn.) in the 15th minute. Arthur Parens (Sr., Wayzata, Minn.) led Gustavus offensively early with a series of slashing attacks that gave the Gusties their best scoring opportunities of the first half, including a run with 8:06 remaining where he took the ball at midfield, cut to the middle past a pair of defenders, and dished to Nolan Garvin (So., Batavia, Ill.), who immediately fired a cross back to Parens for a bicycle kick. Gustavus found the back of the net with 5:40 remaining in the first, but a close offsides call kept the score knotted at 0-0 heading into the break. 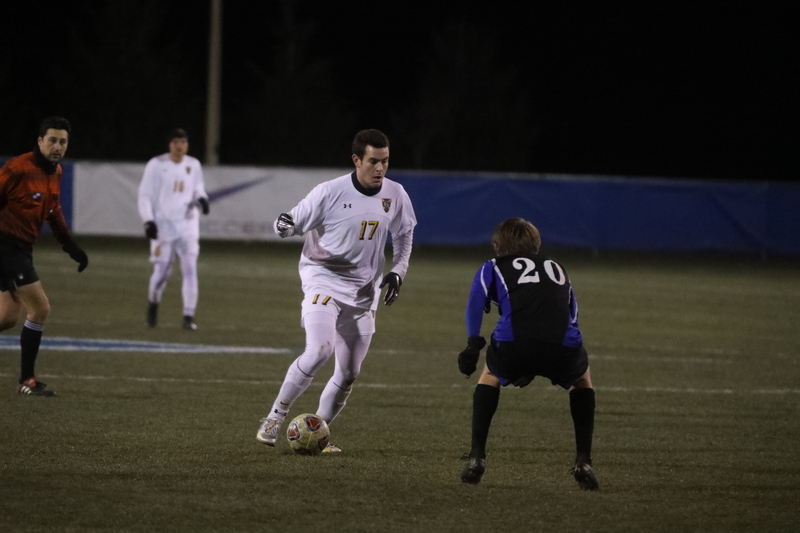 Dominican came out hot in the second half, controlling the pace of play in the opening minutes before Gustavus pushed back with a shot in the 57th minute that was turned away. Coming back the other way, the Stars counterattack switched the field with a pass that hit Dominican’s Benji Ibarra in stride at midfield. 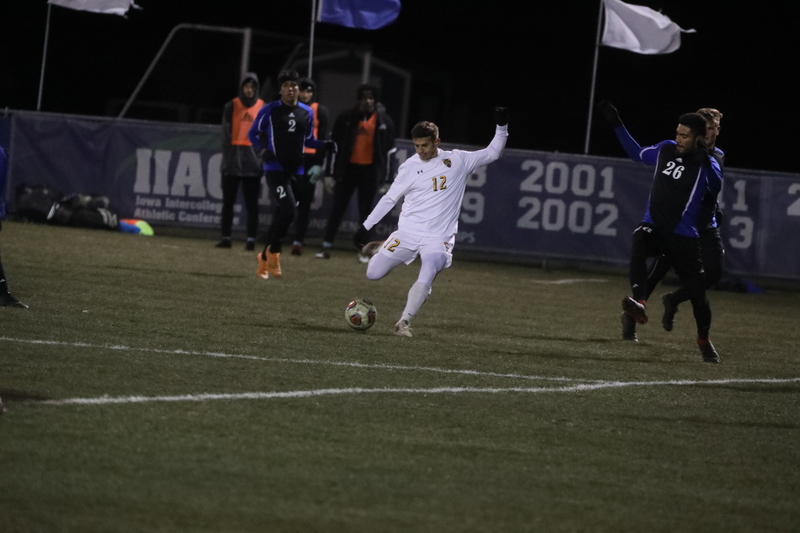 He carried in and sent in a cross that was buried by Isaac Perez to put the Stars up 1-0 with just over 38 minutes left to play. Dominican added their second goal eight minutes later. A high pass was sent in from the wing and Severson went up for the ball but it ended up loose and was pushed in by the Stars after a scrum in front of the net. Gustavus pressed the pace from there, with forward Matt Gibbons (So., Minneapolis, Minn.) creating several opportunities off throw-ins and corner kicks. 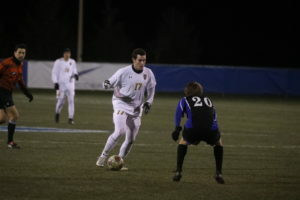 Despite the Gustavus attack, Dominican remained disciplined on defense, holding steady and putting together several long counterattacks that bled the clock in the waning moments of the game. In the 80th minute, Gibbons found himself free 10 feet from the back line and blasted a low-angle shot that went off the crossbar. With less than a minute remaining, a Davis Petros (Sr., Apple Valley, Minn.) shot went just wide to close the scoring opportunities for Gustavus. Gustavus finishes the year with an overall record of 14-4-1, a MIAC Championship, and the team’s first NCAA Tournament berth since 2014 in Flintham’s first season with the program.